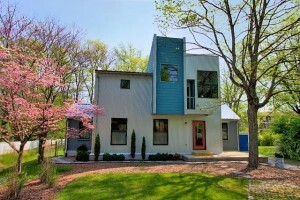 Sitting just south of 440 and anchored by Woodmont Boulevard, Marengo Park is a quiet, residential area on the inside edges of Nashville’s suburbs. Within just a mile, you can grab a cup of local coffee in 12 South, shop for antiques in Berry Hill, or find a shady picnic spot in Sevier Park. If more mainstream retail outlets are calling you’ll find plenty of options just a few minutes down Thompson at the One Hundred Oaks shopping center. Of course all that charm and convenience comes at a cost. Homes here vary greatly in square footage and also in price, but inventory is generally small and turnover tends to be low. Sitting just south of 440 and anchored by Woodmont Boulevard, Marengo Park is a quiet, residential area on the inside edges of Nashville’s suburbs. Within just a mile, you can grab a cup of local coffee in 12 South, shop for antiques in Berry Hill, or find a shady picnic spot in Sevier Park. If more mainstream retail outlets are calling you’ll find plenty of options just a few minutes down Thompson at the One Hundred Oaks shopping center. Of course all that charm and convenience comes at a cost. Homes here vary greatly in square footage and also in price, but inventory is generally small and turnover tends to be low.